"Above all, remember that the holiday spirit is about giving not getting." Our much-anticipated Holiday Shopping Guide is finally here! Fashion Studio Magazine invited thirteen designers and boutique owners, and came up with an exclusive gift guide to help you choose beautiful and meaningful items for your family and friends. With e-commerce becoming not only more popular, but also much easier and more reliable than ever before, there is nothing better than shopping online, in the comfort and convenience of your own home. As every year, we went through a large selection of websites, catalogues, and look books so you can just sit back, relax, and save a lot of time! 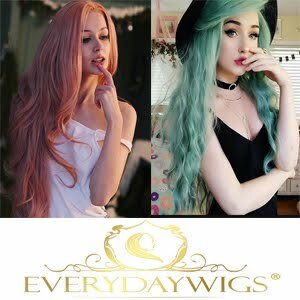 We tried to get off the beaten path and find products that are not only beautiful, but also affordable, timeless, and unique. 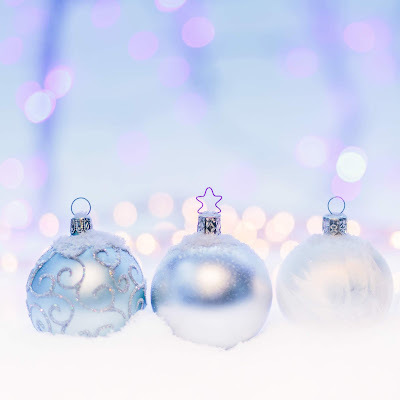 All brands featured in our gift guide were founded by very talented individuals and we can guarantee that you will be hearing more about them in the future! Don't forget to visit their websites and read all the inspiring stories behind their businesses as well. But for now have a look at our selection below and enjoy your holiday shopping in style! An elegant piece of jewellery is probably the best gift ever. 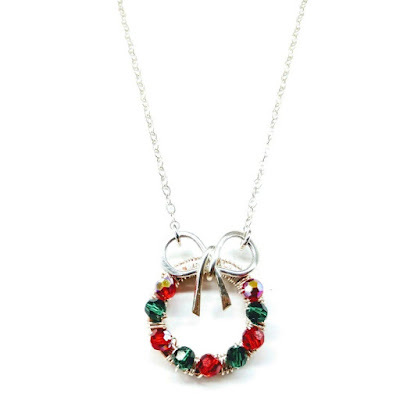 Stunning Carlotta necklace by DM Jewelry Designs will satisfy even the most sophisticated tastes. It features handmade imported Italian Murano glass tubes and multi-colored glass rounds infused with 24K Gold Foil and Black Onyx accents. 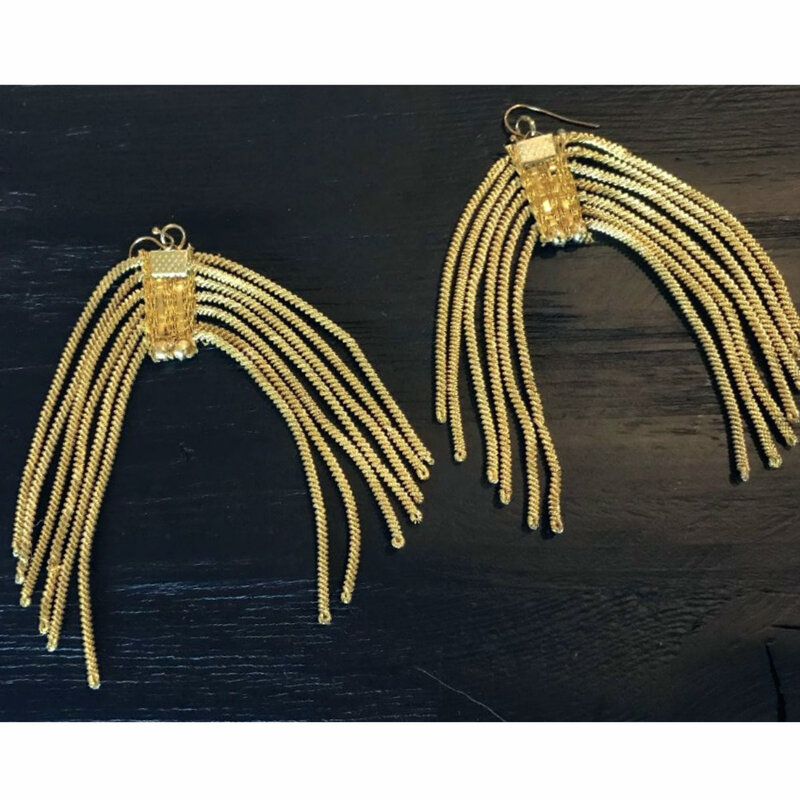 It can be worn with a classic little black dress or an elegant evening gown—in any case making a head-turning statement is guaranteed! 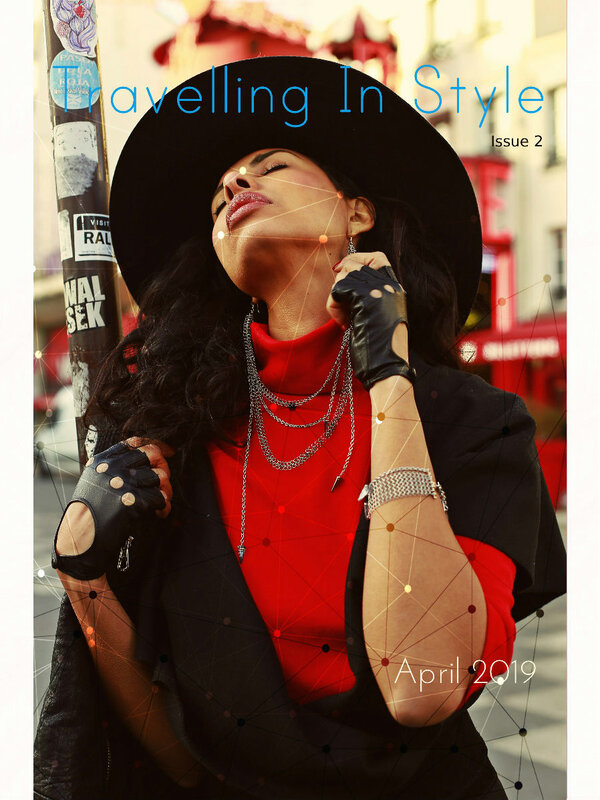 This year, DM Jewellery Designs have been featured in some of the most prominent fashion and lifestyle publications such as Vogue, Elle, British GQ, Brides, Mayfair Life, and more. Selected designs were also shown on the the catwalk during New York Fashion Week. How exciting! Based out of New Cumberland, Pennsylvania, DM Jewelry Designs was established as a result of a life-long enchantment of manifesting visions of radiant jewelry including custom bridal designs. 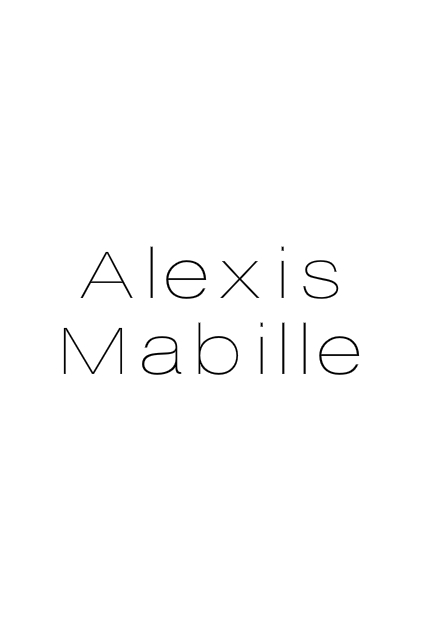 Their mission is to create exquisite pieces of jewelry that celebrates every aspect of a woman. As much as women love jewelry, they are also obsessed with stylish handbags. This colourful little bag by Pamir Fashion will fit all daily essentials including a small tablet. 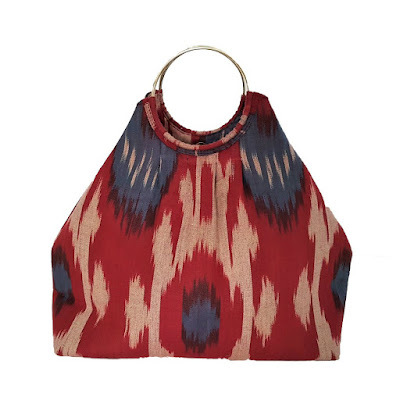 Featuring hand-dyed Afghan Ikat fabric and golden brass rings as handles, it is not only unique, but also practical. What's not to like? Did you know? Ikat is a weaving style common to many world cultures and probably one of the oldest forms of textile decoration. Ikat is produced in many traditional textile centres around the world, from India to Central Asia, Southeast Asia, Japan (where it is called kasuri), Africa and Latin America. Pamir Fashion designs have been seen on some of the most popular fashion bloggers and local celebrities in Dubai, London, and Toronto. SPECIAL OFFER: 20% off published retail prices as Christmas promotion (*selected models only). Pamir Fashion is an Afghan company manufacturing and selling unique handbags and scarves handcrafted by local artisans. Their colourful creations are not only stylish and eye-catching, but also help stimulate economic growth, support local trade, and create employment opportunities in Kabul. What makes Pamir Fashion unique is the fact that their products (both bags and scarves) are not mass-produced; each handbag is fully completed by one artisan which, according to the owner, "is more time-consuming than factory line production, but gives ownership and pride to each artisan". Pamir Fashion bags include vintage (at least 40 years old) Afghan tribal fabrics—rare pieces which are not being made anymore. All of them are hand-stitched. Would you like to know more? Read our exclusive interview with Dagmar Lohnes here. Artisan fashion has been getting more and more popular in recent years and this trend shows no signs of slowing down. 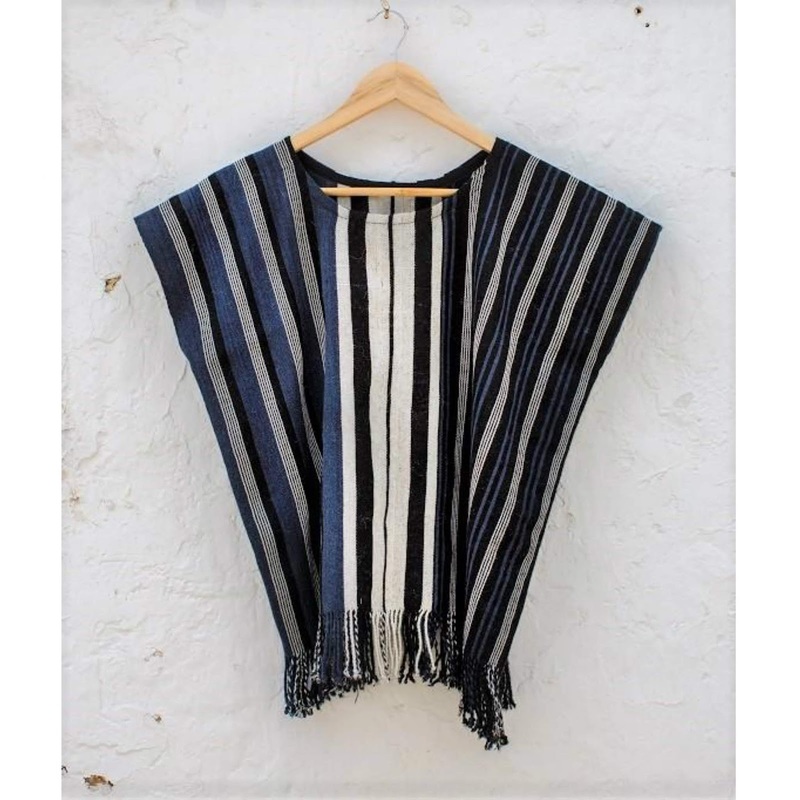 Raymi boho top by Threads of Peru is handwoven in one of the world's finest fibres, baby alpaca, which makes it lightweight and all-natural. It's a perfect gift for all fashionistas who appreciate great quality and style. Show off your bohemian side this season! Did you know? Baby alpaca is hand-dyed with natural plant dyes harvested locally in the high Andes of Peru, and then handloomed by indigenous weavers who have been practicing the art of traditional Peruvian weaving for centuries. 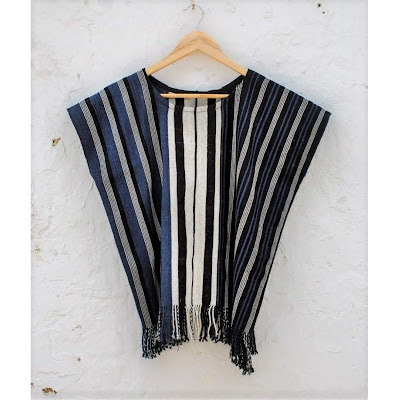 The Raymi boho top was woven in the community of Munay Urpi, in the heart of the Sacred Valley, and sewn up by husband-and-wife team Armando & Josefina in the village of Chinchero. This stylish top will look great with a simple pair of jeans or elegant black trousers. Raymi means "festival" in Quechua, so it's perfect for the festival season—just add some eye-catching jewelry and you are ready to go! Founded as a platform to strengthen cultural traditions and empower local communities, Threads of Peru aspires to be both an educational resource and sales platform for traditional textiles, educating the wider global community on the value and unique beauty of Quechua weaving. You can read more about the philosophy behind the brand here. So inspiring! And now, something for all sun lovers and those who are planning an exotic winter getaway soon. Slender Me Leggings (UPF50+) by SPF Addict will not only allow you to enjoy fun in the sun safely, but they will also keep you cool in the heat. They are made from recycled plastic bottles, from scratch, and produced 100% in the USA. These trendy leggings are also perfect for a yoga session or jogging in the park. As athleisure is one of the most popular fashion trends right now, you can also wear them outside the gym paired with over-the-knee boots or stylish sneakers. SPECIAL OFFER for Fashion Studio Magazine readers: 20% off. SPF Addict® was conceived out of a simple desire to blend environmental consciousness with personal health and style. The collection was created in collaboration with a team of seasoned apparel designers with over 20 years experience in apparel design and development. All fabrics are developed with a cutting-edge technology, utilizing organic "green" fibers that carry an unparalleled level of sun protective factors. These fabrics are among the first of their kind to be developed, individuals with sensitive skin will enjoy the comfort and softness of this technology. For more information about the brand and the importance of wearing sun protective clothing, please visit: https://www.spfaddict.com/about-spf. Comfortable flats that can be worn on many different occasions are always a great gift idea. These fashionable gold and black ballet flats by Ja-Vie are not only super comfortable (#1 shoe for stylish mothers and expecting mothers! ), but they will also add a touch of style to even the most simple outfit. Gold and black colour combination allows you to wear these shoes with almost anything without worrying how to style your outfit. Perfect and trendy gift for one of your girlfriends! Ja-Vie offers stylish flats with superb arch support and flexibility. Made of patented technology, these shoes combine the softest double-ply mercerized cotton knit "sock" with lightweight jelly outsoles and cushioned leather insoles. The result is a second skin fit with dynamic flexibility and maximum support for your feet. 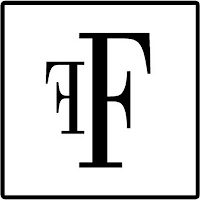 To read more about the brand and its founders, click here. This gorgeous Crystal Wreath Necklace by Lexi Butler Designs will get anyone into the holiday spirit in no time! 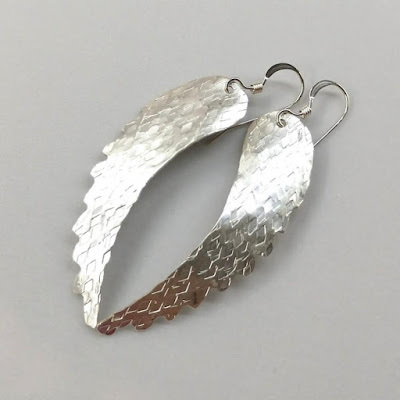 And for those a little more adventurous, there is nothing better than Sterling Silver Angel Wing Earrings (pictured below)—beautiful and very unique! Both designs will add a touch of holiday glam to an elegant cocktail dress or add an extra sparkle to a simple everyday outfit, such as a cosy winter sweater and a pair of jeans. And that's the strength of Lexi's designs—they are stylish and eye-catching, but still wearable and very easy to style. Lexi Butler Designs offers a unique and personal blend of jewelry, accessories, awareness jewelry and gifts designed and created by artisan Lexi Butler. At Lexi Butler Designs, it's easy to choose from the best affordable handcrafted jewelry according to your individual budget. Lexi is a proud member of by-invitation-only The Artisan Group® and was featured in several press and blog publications. 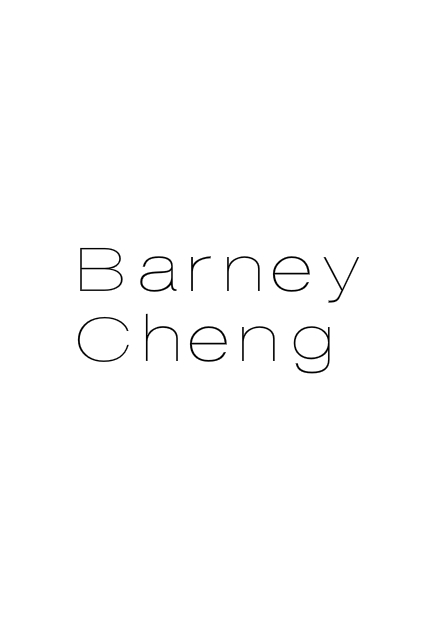 Her designs were spotted on TV stars and celebrities including Molly Ringwood and Ashley Liao. Find out more at the official website: https://www.lexibutlerdesigns.com. "The best part of gifting jewelry is that whatever it costs, once gifted it becomes a piece on which you simply can’t put a price tag. It works like a photograph, the memory associated with the gift will carry through with the person for life," says Urban Cocktail and we couldn't agree more. A beautiful gift for your mum, sister, or best friend, OCEANS OF LOVE necklace won't be easily forgotten. 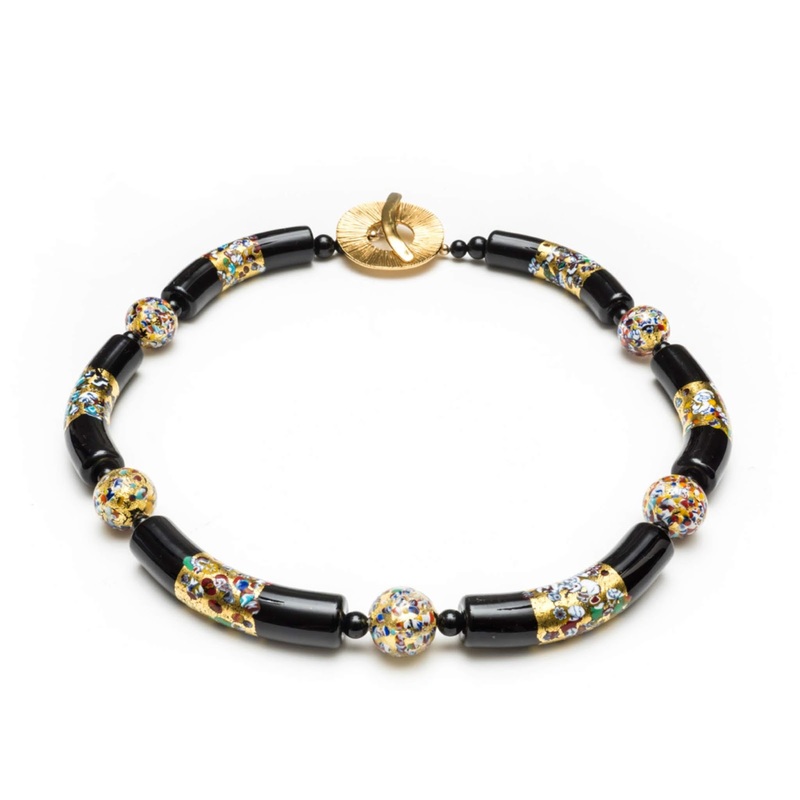 This perfect combination of freshwater pearls and orecchia di mare is accompanied by original Swarovski biconical beads 2.5 mm and magical sparkling cover beads. In case you didn't know, Mother of Pearl is a protection and stress relieving stone; a symbol of feminine wisdom and purity. By bringing the gentle healing power of the sea, Mother of Pearl stimulates our intuition, imagination, sensitivity, and adaptability. It helps our emotions become more harmonious and balanced. What a perfect holiday gift! 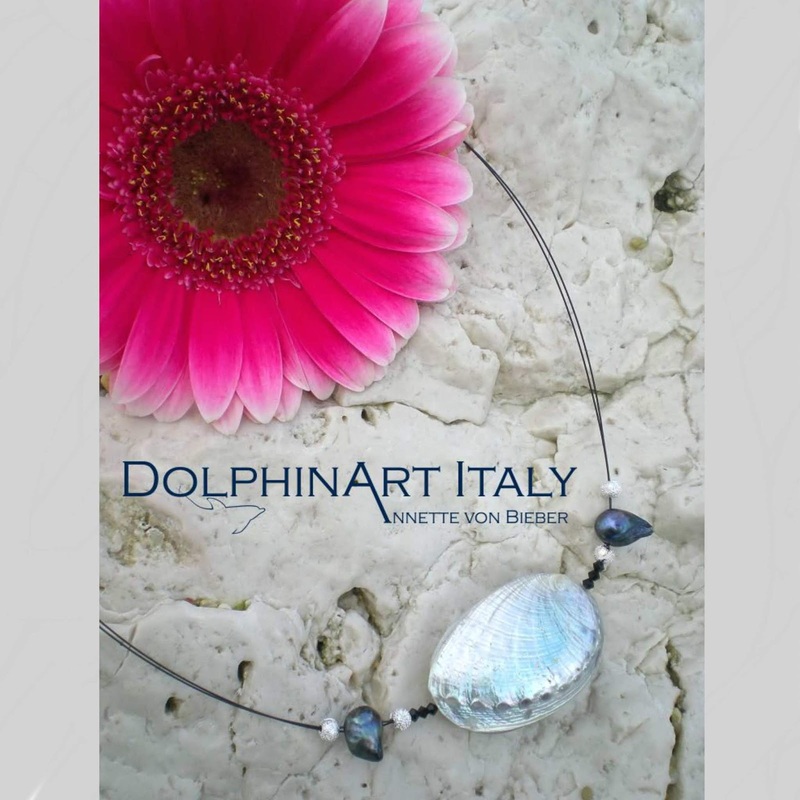 Founded by Annette von Bieber, DolphinArt ITALY is a very special place for all things related to the ocean, dolphins, and beach living. Annette's dream is to further develop her small business and to share her passion with other people, creating more and more products for her online boutique. Her project supports various vetted organisations that are devoted to protect our oceans and their inhabitants—especially the dolphins. One of the recent ideas came after a London-based company asked her to design and create a typical Italian art elements for an African-style bag. That first bag was quickly sold to a client in New York. That's how making prototypes of bags for other brands started. For more information about this new project, please click here. Who doesn't love and appreciate a beautiful pair of earrings? Especially if they were designed by a former model and world traveller with an exquisite taste such as Sarah Stavrou, founder of Sarafiné. These gorgeous metallic earrings were made in NYC and belong to the carefully selected jewelry collection available at Sarafiné. They are not only light as a feather, but also unique and exotic. You can wear them with almost any style of a cocktail dress and you will be happy to know that Sarah's designs are sustainable, recycled, and eco-friendly. Have a look at all the products at https://www.sarafine.com. Eye-catching sunglasses never go out of fashion and that's just one of the reasons why they make perfect holiday gifts. Canadian brand MarsQuest has established itself as a go-to place for high quality, unique designs and continues to bring new products year after year. This holiday season, try their futuristic OMEGA collection; Crystal x Powder Blue sunglasses will look great with a stylish winter outfit while skiing or snowboarding. And of course they will be a perfect beach companion as well! MarsQuest has been featured in FASHION Magazine, Elle Canada, and Flare. 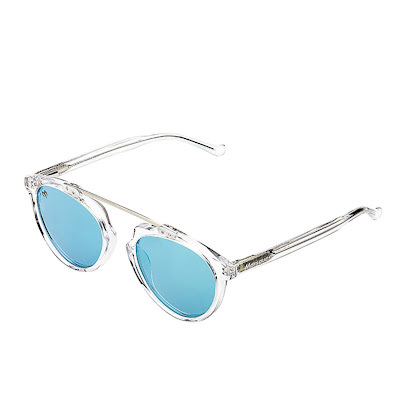 MarsQuest is a Toronto-based eyewear brand of affordable high-end sunglasses for trendsetters. They are a team of groundbreakers who are adventurous, bold and efficient that they are committed to offering superior quality product at a reasonable prices and also resisting unhealthy market practice of overpriced goods with poor quality. All styles provided are polarized and have 100% UV protection. Generation after generation, ostentatious taste and overvalued designs have overwhelmed the sunglasses industry. MarsQuest was created to provide products of superior quality at reasonable prices, to strive for a new territory ruled by aesthetic minimalism and cutting-edge technologies. "Here at MarsQuest Inc., we strive to create passions, develop confidence, but most importantly, empower the adventures of individuals. We are building a community with health-conscious people and would love to have you onboard to start your personal journey with us. MarsQuest is here to lead you to become a better version of yourself; promoting physical health, mental strength, and an adventure-centric lifestyle." For more info, please visit: https://www.marsquest.com/pages/our-story. The perfect holiday gift for the hustler in your life: Ball Till You Fall Clothing line. 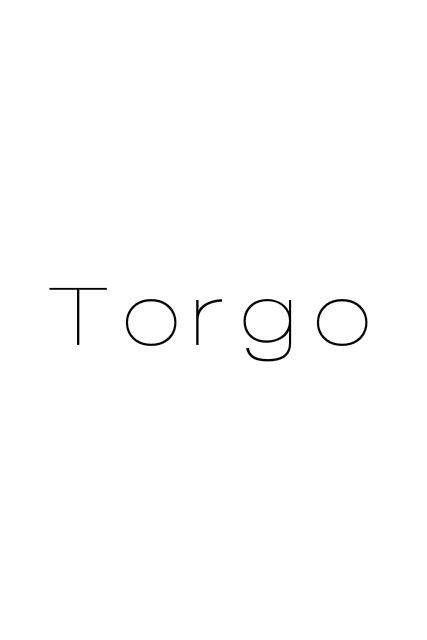 This streetwear brand based in sunny California, offers everything from joggers and hats to a well stated hoodie. Combining comfort and style, their clothes - made in the USA - are fresh, hip, and more & more in demand. 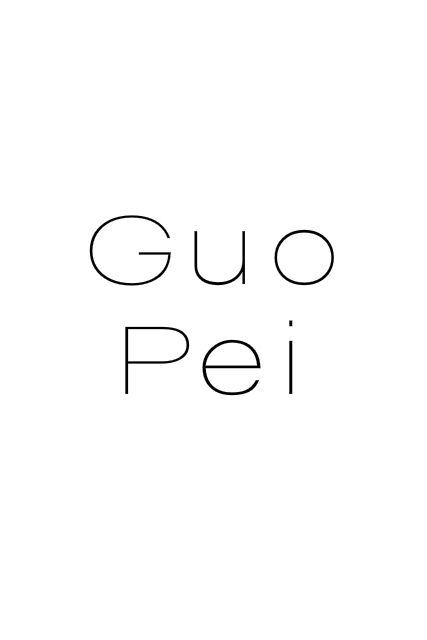 The meaning behind the brand name is unique and inspiring. BTYF (Ball Till You Fall) is the act of conquering one’s own perceived limitations - physical or otherwise - with courage, boldness, and a never-give-up attitude. Many successful people share one common credo: Don’t chase the money. Chase your passion—and the money will follow. BTYF embodies the idea that passion is everything. Whether you’re a professional athlete, teacher, artist or firefighter, life’s professions have one common theme: Passion drives excellence. 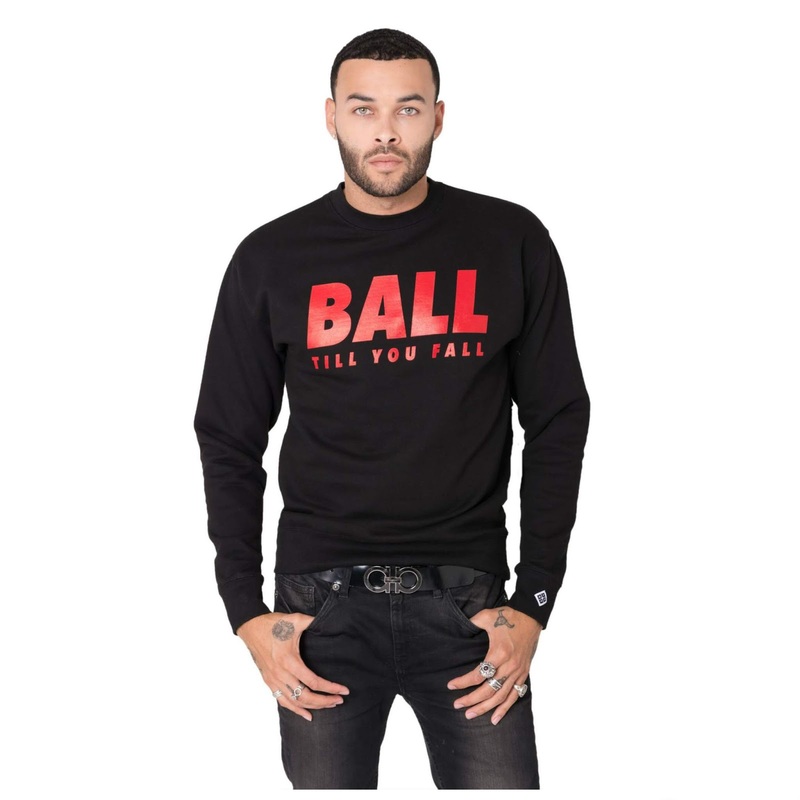 For more information and ultra-cool products, visit: https://www.btyfclothing.com. Never underestimate the power of protection pendants and jewelry! 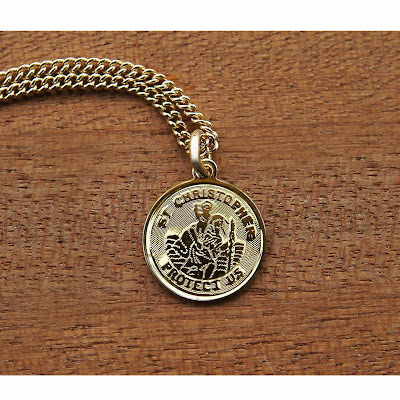 Elegant 14k gold Saint Christopher pendants are an excellent gift idea for your husband, boyfriend, dad or best friend. They are available in yellow and rose gold with matching 18” chain and all come with in an elegant gift box. So you don't have to worry about finding the proper packaging for your gift. How convenient! And for all astrology fans out there, Mference & Co's best-selling Zodiac Pendants are an interesting choice as well. 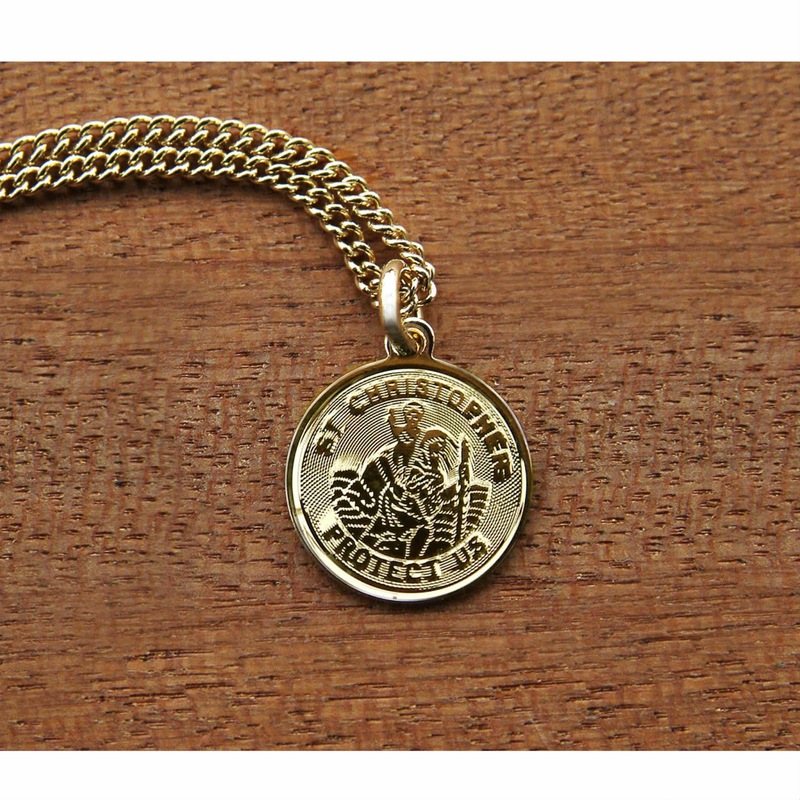 Mference & Co is a small business established in 2010 with the desire to manufacture special surface engraved traditional style jewelry products which are aesthetically pleasing to the eye and gorgeous to wear. 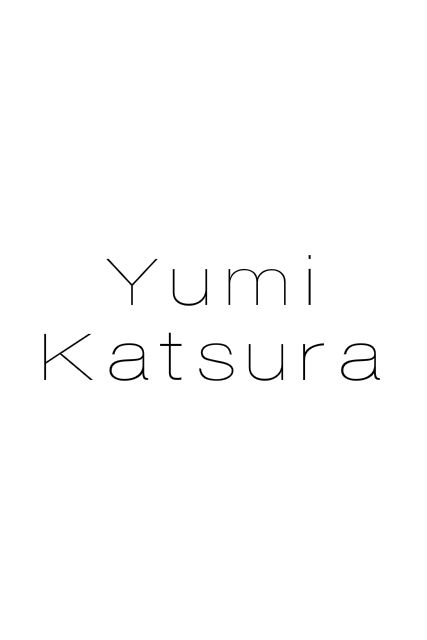 Their products reflect the commitment of providing quality jewelry that is not easily found or made today. Find out more at https://www.mferenceco.com. "Start a journey, connect often, create stories. "—that's a motto behind Story Spark, a brand combining high quality, affordable prices, and unique design. Their lightweight and super soft Bar Code T-Shirt in blue has been already picked by Etsy's editors in "Gifts for Him Under $30" category. 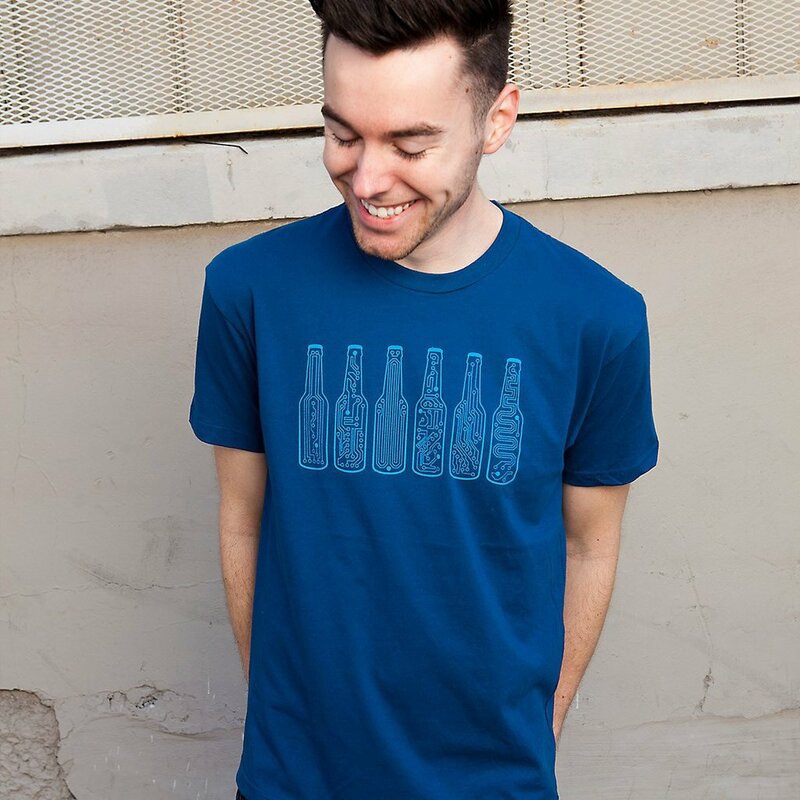 Designed and printed in the USA, this trendy T-Shirt is a must-have item for every fashionable guy out there. "CHEERS TIMES 6. Good teamwork in tech is key for achieving big goals. It takes a particular synergy to be able to work together effectively. So when you work hard, it makes a difference to take time to celebrate the progress that you've made collectively. Cheers to the team - it's the BAR CODE." Story Spark is a lifestyle brand for the tech moderate—those who appreciate balance between life and technology. The brand strives to provide designer products that aspire and enhance an individual's story. More interesting designs can be found at their official website: https://storyspark.com. For a man who likes to keep active, there is no better gift than comfortable and lightweight runners. IONIC EPIC, a footwear company based in Texas, offers functional, top quality running shoes in four different colours: blue, dark green, grey blue, and maroon. Ultra-lightweight (only 10 oz per pair!) 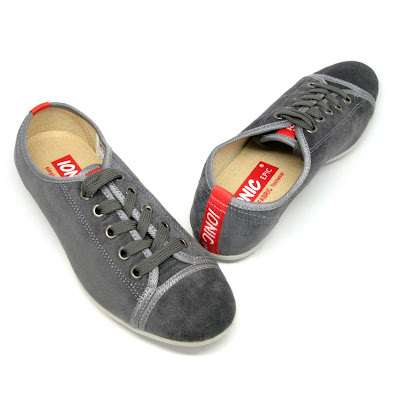 and sublimely casual, the IONIC EPIC Runner Lace-Up will get your guy from beach to trail to street with ease. This shoe is slip resistant, breathable, and machine washable. It was designed for long time walking and standing and provides natural arch support. Highly recommended! IONIC EPIC shoes are made from only top quality and durable fabrics which are all organic, vegan, biodegradable and sustainable. The brand uses no animal skins in their footwear as well. IONIC EPIC footwear is breathable, odor resistant, machine washable, and easy to keep looking new. For more information, visit https://www.ionicepicshoes.com.